It’s that time of year again! 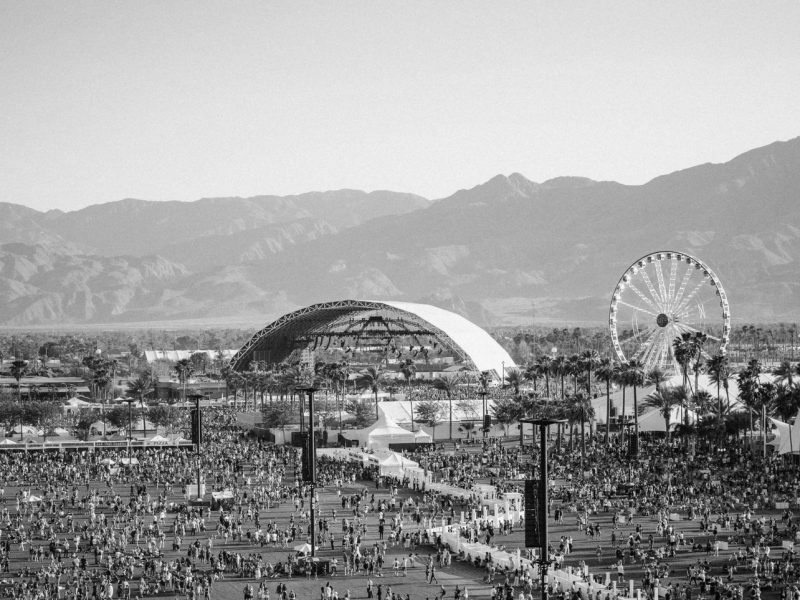 Our Coachella 2019 party guide is here, with details on the daytime events, pool parties, evening soirées and after hours spots going on in the Coachella Valley this festival season. It’s a mix of VIP/invite-only events and those that are open to the public via RSVP or by purchasing tickets, with the specifics for each party outlined by weekend below. We’ll continue updating the guide as more event information is available. Have a tip, info or invite you want to share? Send them to press@palmspringsstyle.com! When: Thursday, April 11, 2019, 9 p.m. – 1 a.m.
What: Kick off Coachella weekend one with an open bar and music by DJs including Jeff Ozmits, Chloe Caillet, Bev Adams and Blu Detigger. What: On Thursday evening, party wizards The Do-Over kick-off the festival with DJs Dave Nada, Tittsworth, Haycock & Strong. Saturday night, the Mattson 2 and special guest DJs will bring a marvel of psych-jazz orchestration and arrangement to the Amigo Room. On Saturday, Jónsi (of Sigur Rós) and Julianna Barwick will be playing music poolside during the day and in the Amigo Room at night. At 10pm on the Stargazing Deck, the musical compositions in QUARTET are generated by the electronic impulses produced by four plants. Rounding out the weekend, Jonsi, Julianna and friends will be back for nighttime and daytime DJ sets. More details here. When: Friday, April 12, 2019, 12-6 p.m.
What: Enjoy complimentary drinks by Absolut Elyx, a glitter makeup bar and tunes by DJ Femme A while you get festive with the babes behind the brands Dazey LA, Soukie Modern, Island Tribe, Wanderlust Camper Co., Orenda Tribe, Palm Springs Style & more. What: Vampped presents Vampped Vacancy, with performances by 3LAU and Charly. What: YSL Beauty’s first-ever lipstation, pop-up shop and content creation set (designed as a YSL-themed gas station) will be open to the public from Friday, April 12, to Sunday, April 14. More details here! What: The Zoe Report is teaming up with brands including Sephora and Swatch for a Saint-Tropez inspired soiree. What: Shopping, cocktails and beauty services from Prism Boutique — more details here. What: Vestal Village is a 4-day private, invite-only event hosted by Vestal. The event is divided into two parts: hosted daytime pool parties + a communal living environment with camping and exclusive night time desert parties. What: Neon Carnival returns for its tenth consecutive year, presented by Levi’s, Bondi Sands and Pokémon Detective Pikachu. Partygoers can expect rides and games, sponsor activations, and sounds by DJs including DJ Ruckus, Kayper and a special guest performer. More info here! When: Saturday, April 13, 2019, 1 – 4 p.m.
What: Pool party by Pandora music and T-Mobile, with DJ set by Chromeo. When: Saturday, April 13, 2019, 10 a.m. – 5 p.m.
What: Create & Cultivate is heading back to Palm Springs for a one-day pop up event at the Commune at the Ace Hotel, featuring music, food, drinks, beauty treatments and panel discussions with the best in the business, including Katrina Scott and Karena Dawn of Tone It Up and model/influencer Rocky Barnes. More details here! What: REVOLVE is back with day parties on both Saturday and Sunday filled with brand activations, special guests and performances. An exclusive late-night event will also take place on Saturday night. What: Jeremy Scott’s annual celeb-filled bash is back, hosted by Moschino and The Sims. What: This inaugural gathering will feature a wide array of celebrities, influencers, artists, musicians, chefs, fashion designers, art installations, health & wellness programs, pool parties, and craft drinks. On Friday, LA Weekly will hold its first ever cannabis competition with specialized cannabis education experts. Lyt is the first and only mobile dispensary that offers a personalized cannabis concierge experience. The highly anticipated, cutting edge, lightning fast service and ultra user-friendly site streamline the process of bringing Cannabis products directly to consumers. Lyt’s specialized system of having drivers carry popular products on-hand saves time by cutting out the middleman – other services who take orders and required to pick up products from actual dispensaries. Lyt’s select crafted menu and knowledgeable staff offer an unparalleled experience from order placement through delivery directly to your door. When: Saturday, April 13 and Sunday, April 14, 2019, 11 a.m. – 5 p.m.
What: The American Express Platinum House will be open exclusively to Platinum Card members, featuring fitness activities by Equinox, sensory travel experience with Away and more. More details here. When: Saturday, April 13, 12-6 p.m.
What: Lucky Brand and Rolling Stone Live are hosting a poolside event featuring music by X Ambassadors, Jax Jones and more. When: Saturday, April 13, 2019, 2-6 p.m.
What: The Bootsy Bellows Pool Party with McDonald’s and PacSun is back for the 7th year, featuring performances by Rich the Kid, Roddy Ricch and more. When: Saturday, April 13 and Sunday, April 14, 2019, 12-5 p.m.
What: Khalid will be making a meet-and-greet appearance at BMW of Palm Springs (on Saturday only), with food trucks, pop-up shop, giveaways and more. When: April 13, 2019, 1-5 p.m.
What: The Saguaro Palm Springs is hosting multiple pool parties during weekend one — get all the details here! What: Poolside DJ sets by Nora En Pure, Rüfüs Du Sol, Sound + friends. More details here. What: The transcendent detox continues for Weekend 2 and kicks off on Friday with daytime poolside DJ sets by Diva Dompé and melts into an evening of special guests in the Amigo Room till late night. On Saturday, Leaving Records curates the music followed by a night of guided meditation by musician Kaitlyn Aurelia Smith. At midnight, the musical compositions in QUARTET — generated by the electronic impulses produced by four plants — are presented in part by Moog, Data Garden & dublab. On Sunday, Mary Lattimore takes the Stargazing deck with harp music transmitted underwater in the swimming pool. The weekend winds down on Earth Day with music from Carlos Niño, Kyle Simon, Mary Latimore, sound baths, wellness pop-ups and sustainability workshops. More details here. What: The Saguaro Palm Springs is hosting multiple pool parties during weekend two — get all the details here! What: Poolside DJ sets by Diplo, Dillon Francis, Jauz + friends. More details here. What: In celebration of Neon Carnival’s tenth consecutive year, the popular late-night event is being held twice this year, with the second event during Stagecoach weekend. Partygoers can expect rides and games, sponsor activations, and sounds by DJs including Dee Jay Silver, DJ Ruckus and Kayper. More info here! Have a tip, info or invite you want to share? 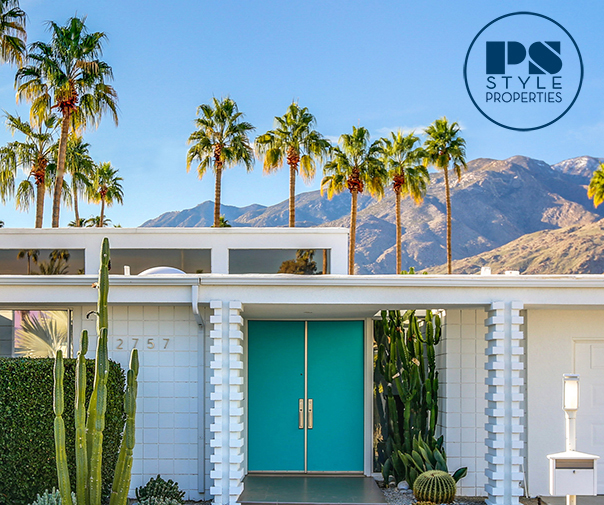 Send them to press@palmspringsstyle.com!